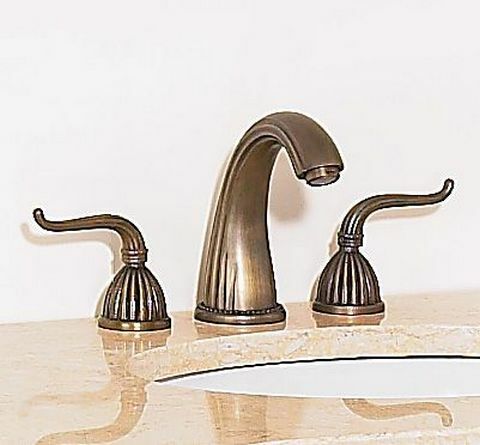 With FREE solid stone granite Backsplash for easy cleanup and to safeguard the walls from water damage. 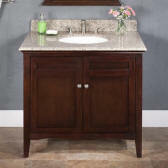 Splendid in appearance, this lovely 72 inch Nevada Contemporary Style Double Sink Bathroom Vanity is Constructed of solid hardwoods and wood veneers with a hand finished Dark Walnut finish and an eye catching 1.8cm thick hand polished solid stone granite countertop pre-drilled for 3-hole faucet application. 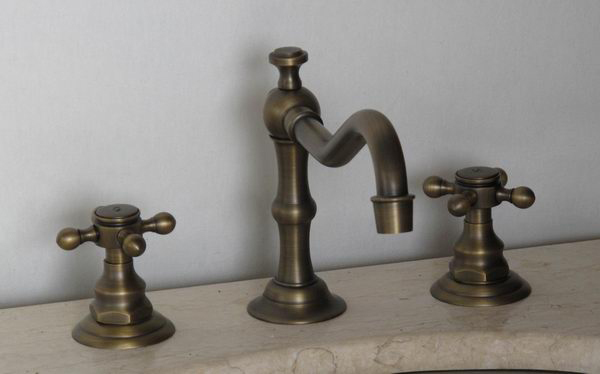 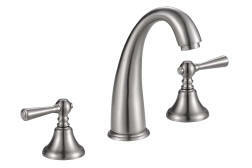 Faucets sold separately, see below for selections. 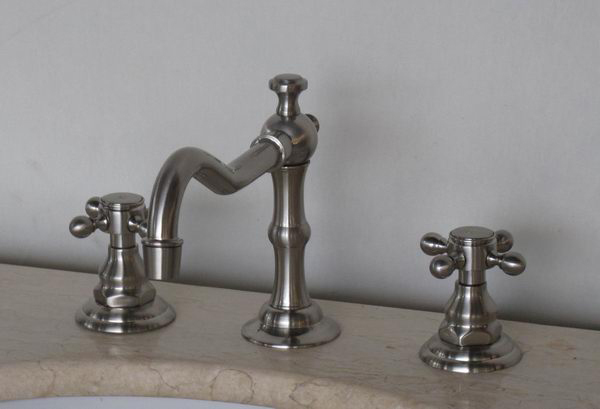 Employs Double-glazed, CSA approved, white porcelain sinks with nano finish to provide a smooth surface that repels water. 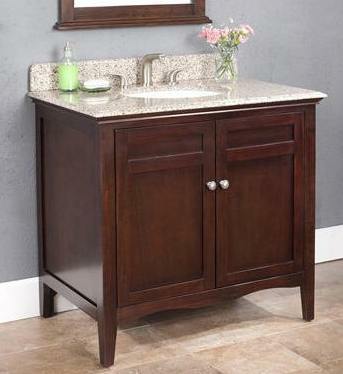 The Sinks are made with a glazed surface for easy clean up and surface protection against dirt. FREE solid stone granite Backsplash for easy cleanup and to safeguard the walls from water damage. 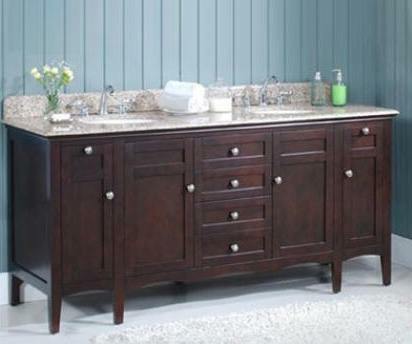 Design features include lots of Organized Storage space with three (3) drawers and two (2) doors that utilize concealed soft close hinges technology with Heavy-duty fully extended Top grade ball bearing metal drawer glides for smooth, reliable, and easy daily operation. 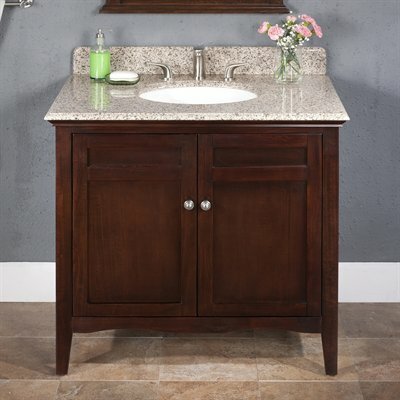 Other built-in bathroom furniture construction details specific to this 72 inch Nevada double sink vanity include Zinc Alloy hardware, Corner support blocks for additional stability, Drawer corner blocks to strengthen the structure of the drawers, English dovetail drawer back, French dovetail drawer front structure and Plywood reinforcement added to support the countertop granite stone top. 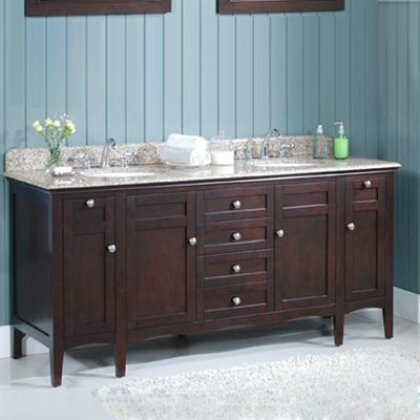 Three Drawers and Two Doors with concealed soft close hinges technology with Heavy-duty fully extended Top grade ball bearing metal drawer glides for smooth, reliable, and easy daily operation. 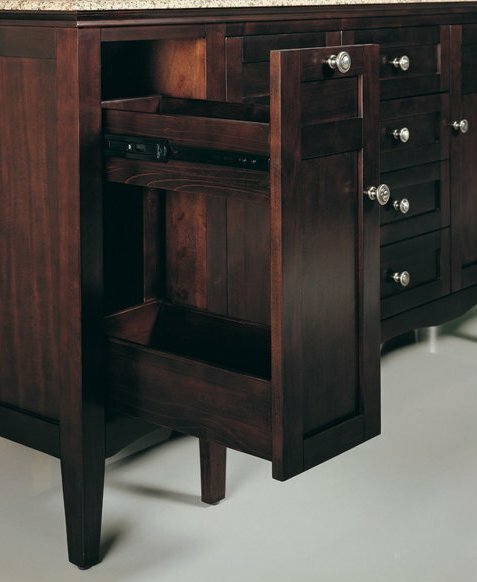 Carefully constructed with Drawer corner blocks to strengthen the structure of the drawers, English dovetail drawer back and French dovetail drawer front structure. 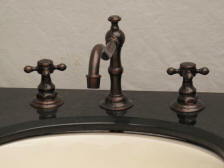 Also available in the same collection is the 36" Nevada Sink Vanity, Orig. 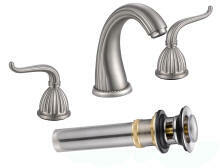 Price: $999.00 Sale Price: $799.00 see above photo. 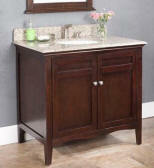 Freight is $265.00 for double sink vanity, $199 for single sink vanity or less, depending on size & destination of vanity. 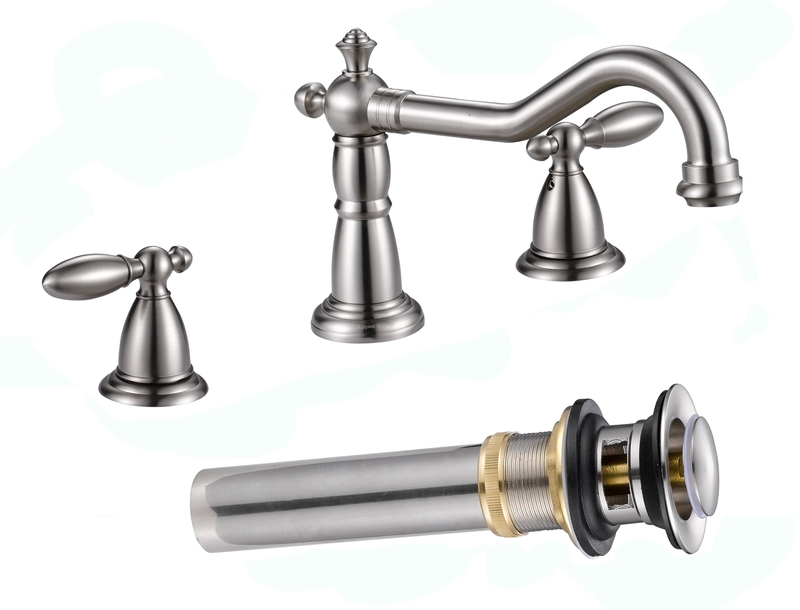 Call us Toll Free for additional product details or to place your order. 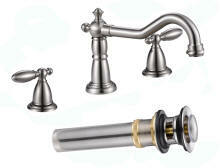 Will fit any vanity countertop predrilled for a standard 3-hole, 8" spread faucet set. ->Oil Rubbed Bronze finish that matches traditional vanity sinks, shown at left. Ask us about other color finishes that we may have in stock.